Google Analytics has always shown you how people search to find your site. With Site Search, you can now see how people search your site once they are already on it. This is a goldmine of information because every time visitors search, they literally tell you in their own words what they are looking for. How do I set up Site Search tracking for my Analytics profile? Step 1. Log in to your Google Analytics account. Step 2. 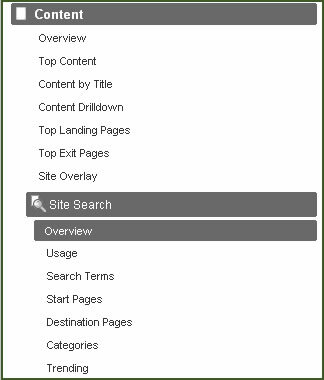 Go to: “Analytics Settings > Profile Settings > Edit Profile Information” and enter Magento site search query parameter “q” (GET parameter) in the input filed provided. Then the Site Search reports appear within the Content section. You can read more about Site Search here. If you wish to know how to properly set-up Analytics on your Magento site, read this. Internal site search reports are one of the most powerful features in GA for ecommerce merchants. But I don’t think many people realise just how useful they are. These reports can help you with your merchandising and category structure. They’re also great for SEO insights into the language people use. They also alert you to new products which your customers think you might (should!) stock. This surely works, you have to wait sometime, while analytics processing data, and “q” is get variable …. Set it inside Google Analytics and then test to see if Google receives any search results, it’s always the best way. The URL for the Magento site search is: catalogsearch/result/?q=.